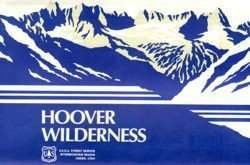 Hoover Wilderness was created as a primitive area in 1931 and named after President Herbert Hoover. It officially became a Wilderness Area in 1964 when the Wilderness Act passed. Notable locations within the Hoover Wilderness area include Twenty lakes Basin, Virginia Lakes Basin, and Sawtooth Ridge. Many people agree this is a great place to hike for a few reasons. First, the terrain is unlike anything you can find. With glacial lakes at 10,000 feet and even higher mountains peaking in the background with valleys of lush green grass, it is a beautiful, unique place. Second, the hiking is easy. Because you already start out at a high elevation, you don’t need to do much climbing uphill to see the wonders of this area. 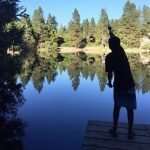 A great resource for planning camping and hiking in Hoover Wilderness is Trails.com. 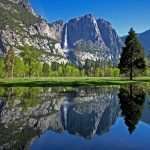 In this link you will find all the hikes in Hoover Wilderness and important information regarding each one: http://www.trails.com/activity.aspx?area=12956. This page will give you information about how to obtain a permit and how many people are allowed in a group. It will also show your trail information and maps. http://www.fs.fed.us/r4/htnf/recreation/wilderness/hoover/hoover_wilderness.shtml Here is the number for more information about Hoover Wilderness: (760) 932-7070.